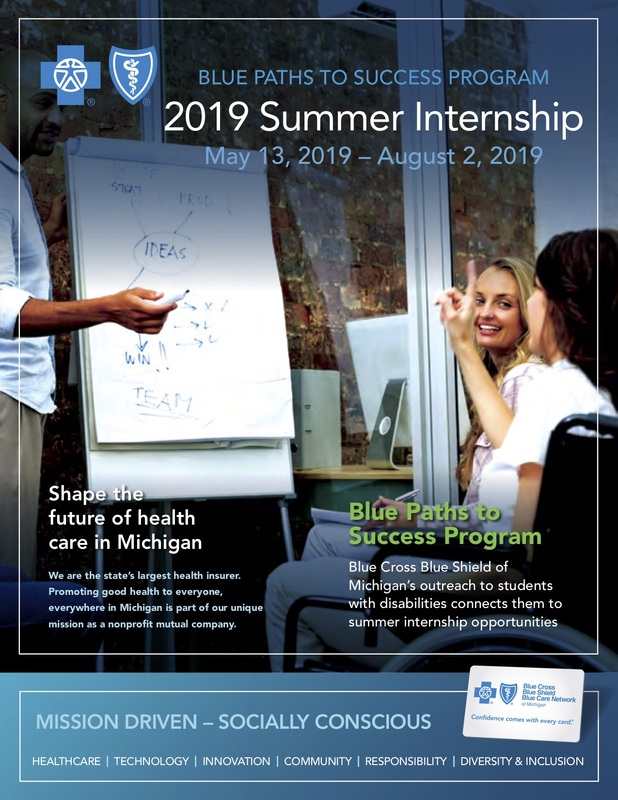 Shape the future of health care in Michigan! We are the state’s largest health insurer. Promoting good health to everyone, everywhere in Michigan is part of our unique mission as a nonprofit mutual company. These merit-based scholarships support the education of current university students and open the door to potential internship and co-op opportunities. Check out our scholarships page. We encourage you to share these opportunities with your students and any university platforms that post student opportunities. The PwC Lime Scholarship is an outstanding opportunity for undergraduate students with disabilities with a passion for accounting, technology, and/or computer science. Recipients of the 2019 PwC Lime Scholarship will each receive $4,000 to support their continued studies! Eligible recipients must be current full-time undergraduates (freshman, sophomore or junior) enrolled at a 4-year college/university in the U.S. for the 2018-2019 academic year (and continuing studies in 2019-2020), and pursuing a degree in accounting, computer science, engineering, math, finance, or economics. Learn more about the eligibility and application requirements here. The application deadline is Sunday, December 9th at 11:59pm PST! The Google Lime Scholarship is an outstanding opportunity for undergraduate or graduate students with disabilities who have a passion for computer science and technology. Selected recipients in the U.S. will receive $10,000, attend the annual Google Scholars Retreat and be considered for a Google internship! Eligible candidates must be enrolled for 2019-2020 academic year and pursuing an undergraduate, graduate or doctoral degree in computer science, computer engineering (or a closely related field) at a 4-year university in the U.S. or Canada. Learn more about the eligibility and application requirements here. The next application cycle will open in late Spring 2019. The BMO Capital Markets Lime Connect Equity Through Education Scholarship is an outstanding opportunity for undergraduate or graduate students with disabilities who are interested in a career in Financial Services with a preferred focus on Capital Markets. Selected recipients in the US will receive $10,000 to support their future studies! Eligible candidates must be currently pursuing a degree in business/commerce, computer science, engineering, math, physics, statistics (or a related discipline) at a 4-year university in the U.S. or Canada. Learn more about the eligibility and application requirements here. Stay tuned for details on the 2019 scholarship and application process. * A person with a disability is defined as someone who has, or considers themselves to have, a long-term or recurring issue that impacts one or more activities that others may consider to be a daily function. This definition also includes the perception among others that a disability exists. We know that 90% of disabilities on campus (and 70% of disabilities among the general population) are invisible, and candidates with all disabilities are encouraged to join The Lime Network and take full advantage of the benefits it offers. Lime Connect is rebranding disability through achievement. We are leading the way as the premier resource for top talent by attracting, preparing, and connecting high potential university students and professionals - including veterans - who happen to have all types of disabilities for scholarships, internships, The Lime Connect Fellowship Program, and full time careers with our corporate partners - the world's leading corporations. Through our work, we are breaking stereotypes and leading all companies to realize the importance, and value, of employing people with disabilities at every level of education, talent and ability.